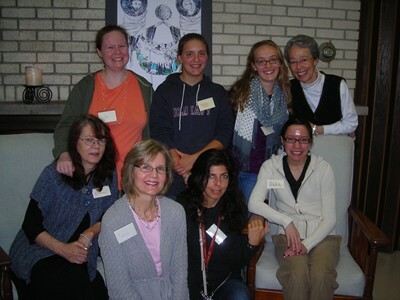 Visit four different religious communities to meet, learn, share meals, and pray with Catholic Sisters. We will visit local communities of Benedictines, Franciscan Poor Clares, School Sisters of Notre Dame, and Sisters of St. Joseph. Carpooling will be arranged. When: Saturday, October 5, 8:00 a.m. to 6:00 p.m. Cost: This event is free; the day is a gift to participants. The Event was a great success. Our visitors arrived at the monastery before 8:00 am to join our Saturday Eucharistic community. Following the Eucharist we enjoyed a modest brunch and a presentation by Sister Beth on COMMUNITY which is a central aspect of Poor Clare life and a needed focus for our country and our world at this time. 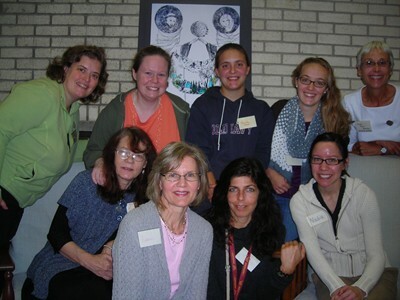 The group left St. Clare’s at 10:30 to continue their visits to Communities of Benedictines, St. Joseph Sisters and School Sisters of Notre Dame. There are tentative plans for another opportunity to visit Religious Communities in January.